If you are in the market for a compact SUV in the Mississauga area then you need to come into Pfaff BMW today. The BMW X2 is available at our dealership, and this compact SUV is waiting for you to take it out for a test drive. Compact SUVs are also available to purchase new or pre-owned, and our customers can find these vehicles on our website or by visiting our dealership in Mississauga. 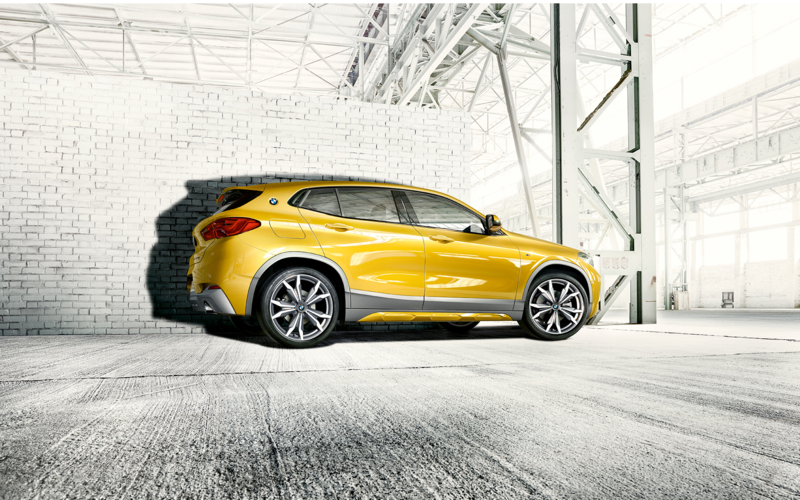 In this article by Pfaff BMW, we will talk about the BMW X2, and why this compact SUV isa great choice. Begin your search for compact SUVs here. What’s new with the BMW X2? Absolutely unique. Extremely exceptional. The new BMW X2 makes its sporty ambitions quite clear at first sight. Thanks to its bold athleticism, it supplies a dynamic and agile performance that is unrivalled in this class. Coupled with a high-quality interior and many innovative technologies, it is the extroverted protagonist of a new era. Are you ready? The new BMW X2 follows its very own path, and it demonstrates this too. Its extroverted shape in combination with its dynamic contours lend it an extremely sporty coupé character. At the same time, its impressive proportions and unique innovative design ensure an exceptional appearance. Ideal for all who wish to explore new directions. Powerful engines. Direct steering. Optional M sport suspension. High-precision handling that sets standards within the class. For spirited dynamics and lively agility, whether for sprinting or long distances, urban driving or winding country roads. And all of this can be enhanced still further with the optional all-wheel drive system BMW xDrive. It provides the new BMW X2 with outstanding traction and tracking stability, enabling it to take even the tightest corners as if guided by rails. Racing pulse included, for all those who are ready. Why should you consider a compact SUV in Mississauga? Safety. Cars may be zippy and small compared to compact SUVs. In general, though, they're not as safe. The reason for the relative lack of safety is energy transfer; in a collision between two vehicles, the heavier vehicle transfers its energy to the lighter vehicle. In fact, if a car and SUV collide, the occupants of the SUV are as much as seven times more likely to escape unharmed. In terms of safety, a compact SUV actually gives you some of the best features of both cars and SUVs. With a compact SUV, you have a vehicle that's heavier than most cars -- which gives you an inherent safety advantage in a collision. Because a compact SUV has a unibody design, though, you also get crumple zones that can greatly increase your chance of survival in the event of frontal impact. Since many full-sized SUVs use body-on-frame designs, they typically lack crumple zones. For more information about the BMW X2, and why you should consider a compact SUV in Mississauga, please feel free to continue browsing through our Pfaff BMW website. Click here to find our contact information, schedule a test drive, and to fill out our contact form.